NSPNSights | Your Needs. Your Network. Together We Can! Parents want to protect their children from the sorrow and stresses of life. Achieving this worthy goal requires practical insights as well as noble intentions. In this post, we’ll share strategies for helping your children to face the tests and trials that life will bring their way. Living in the 21st century offers many advantages. Diseases that were once death sentences now yield to routine treatments. The Internet offers unlimited access to education and entertainment. Automobiles are both safer and friendlier to the environment than those made just a few years ago. Social media connects us with friends and family members around the globe. All of these benefits make it easy to forget that life was once “poor, nasty, brutish, and short,” to use the words of philosopher Thomas Hobbes. Ancient humans had to worry about thousands of things that never cross our mind, like being attacked by hyenas or going hungry because a blight wiped out our food supply. According to doctors at Mayo Clinic, untreated chronic anxiety can even lead to agoraphobia. Those who suffer from this condition go to great lengths to avoid situations that provoke fear or uneasiness. In extreme cases, this disorder can make people afraid to leave their home, imprisoning them inside for months or even years. Recognize that your goal is help your child manage his/her anxiety, not to prevent feelings of anxiousness. Help him/her to assess fears in the light of evidence. For example, if he/she worries about going to the dentist, express that dental visits are not only safe but essential for good health. Let him/her meet the dentist and see for herself that the doctor wants to help. Reward your child’s courage with verbal praise and other positive feedback. This will help counter fears with self-affirming thoughts and actions, according to writers for Psychology Today. Remind the child that feeling anxious, or even overwhelmed, is normal. Young people may feel that anxiety reflects weakness. It’s important to help dispel these negative thoughts. Teach youth that making good choices is very important. Using alcohol or illicit drugs to cope with anxiety is never a good idea. At the same time, realize that healthcare providers may prescribe anti-anxiety medication to help youth manage symptoms. Medically supervised use of pharmacological agents is entirely different from substance abuse, as long as the patient follows the prescribed dosage, frequency, and directions and shares any concerns with a qualified practitioner. Anxiety is part of life. Properly controlled, it can remind us to avoid dangers and prepare for the unexpected. Use the tips in this post to help youth face whatever life brings their way with the caution and confidence that will serve them best. According to research, only 9.2% of people felt they were successful in achieving their resolution. The number one reason for failed resolutions is the lack of a clear goal. NSPN is making it easy for you to beat the odds by helping your organization create clear goals for top resolutions. If there’s an area where your organization is struggling and could use some help, let NSPN help lift the weight off of your shoulders. Maybe you’re thinking of a different type of weight… Does your inbox seem pretty hefty after the holidays? Perhaps you’re deleting emails without reading them? Take some time to go through your inbox and make some updates. Consider updating your profile or preferences. Many businesses send emails based on interests you have selected or information you have provided in your profile. For example, occasionally, NSPN may send emails to individuals with a specific job role or to organizations in a specific regions. If your information is not correct in your profile, you may receive an email that isn’t helpful to you. Consider logging in to your NSPN profile and update your information to make sure you’re only receiving information that fits your needs at www.nspnetwork.org/login. Your user name is [merge data]. If you are an Organizational Development, Professional Development, or Training Center member, you have deeper discounts and even FREE access to some events and additional resources. If you’re not already a member, you can achieve your resolution of making better financial decisions by becoming one. Base membership is only $200 and provides a multitude of benefits to your organization. Join today here. If traveling to Louisville, KY for Focus 2018 or having NSPN create a personalized training just for your organization isn’t exciting enough, consider doing something new! NSPN is the only membership association that customizes benefits to fit the needs of its members. If you have a need – or an exciting idea – connect with the membership team to discuss ways we can help. All NSPN members have access to NSPN Connect. NSPN Connect is a forum where member of all levels can network, share resources and ideas, and have discussions around impactful topics. Log in to NSPN Connect today and ask a question about how something is done in another organization or share some ideas you find helpful. Feel free to upload documents to share with others. Licensed Safe Place agencies have access to Safe Place Connect and National Youth Advisory Board Collaboration Committee (YCC) members have access to YCC Connect. If you are part of the Network in more than one way (NSPN member, licensed Safe Place agency, and/or a YCC member), you have access to each forum based on your affiliation. Ultimately, whatever your resolution is for your organization, NSPN wants to help remind you that you have support. Together we can! My grandma can best be described as a gentle soul who wanted to take care of everyone. She spent much of her life in a rocking chair, staring out a window and waiting for one of her children or grandchildren to come through the field to the back door of the kitchen. Regardless of the time of day, there would be something cooking. Chocolate pies (using a recipe that allowed her to stack them 3 high) would be in the pie safe and she would already be taking home grown vegetables from the stove before you could stomp the red clay of Mississippi from your feet and crack the screen door. Her desire was to care for each of her children by meeting very basic needs: food, love and knowledge of the Bible. My grandpa was at work when he wasn’t waiting for grandma to serve a meal. Although he insisted that I was too young to help in the picking of beans in a field near the farmhouse, my memories were of watching him, my grandma and the other members of my family clearing row after row of vegetables in efforts to complete the task before the sun rose above the magnolia trees at the house. Grandpa was a no nonsense man who collected treasures from the castoffs of others and stories of his neighbors with an equal sense of purpose and passion. Quick to temper, he was also quick to defend and to encourage each of his children to stand up and be accountable for their actions. My love of my grandparents deepened as I grew older and while we lived many miles apart, there was a strong emotional tie. However, this was not always the case. Love was shadowed by uncertainty and insecurity. To be clear, as a young child, I felt isolated and different from not only my grandparents but from almost all of my relatives on my father’s side of the family. I don’t recall how I became aware of the differences between us. I just remember incidences of not ‘fitting in” and feeling as if I was living a life filled with broken rules. I had two first cousins – one 11 months older and one 10 months younger – and we would come together on Sunday afternoons. While the adults conversed about whatever matter was most important that week, grandma would prepare dinner and the children would play outside. I remember attempts to play house that were never quite successful because we could not agree on the contents of our desired home. At the age of 6, it seemed quite important to me that we have a television, a record player and other items that were in my home. My cousins’ views of a proper home were of a stove and table with dishes set for the entire family. While this difference seems trivial now, at the time, I became lost in why there was a difference at all and what the difference meant. I became increasingly aware that the conversations I attempted to have were challenging and that few commonalities exited between my experience and theirs. Once my older sisters and brothers were able to explain the difference, I understood but was still unsure of myself and how my grandparents could accept me. My grandparents and the rest of my father’s family were members of a fundamentalist Pentecostal church. In the way they practiced their spiritual beliefs, they could not watch television, they could not listen to popular music, women could not cut their hair, wear pants or make-up, etc. Because my parents both came from previous marriages, neither were allowed to practice in the Pentecostal church in my home community, and therefore, my siblings and I were raised in a different church with different beliefs. I grew up knowing that the people I loved best in the world did not believe as I did and in my childish imaginings I wondered who was right and if I was “less than” because of these beliefs. I started looking for, and so easily saw, slight differences in the way that our branch of the family was treated. I became sure that these differences were proof of an insurmountable divide. This awareness brought hurt to my inexperienced heart. Was the look that I received from my grandma one of love or tolerance? Was she proud of me for what I knew and for the dreams that I had? Was it o.k. that I knew about Elvis and could do the twist? Would she be disappointed if she knew I wore shorts and played softball every weekend? Was it o.k. to be me? Christmas was the time when we could all come together and exchange gifts and appreciate that another year had kept us well. My grandma’s care-taking and love of the holiday meant that the stove was always hot and oranges, apples and walnuts could be found on every sideboard. My grandpa’s stubbornness and final authority meant the Christmas “tree” was a small branch cut from a larger tree and decorated with a single string of lights and a star. To him, it was important that the tree be high enough on a table so that he could walk without running into it. So we would gather around the table and open presents. While every child has wishes, I knew that my wishes were different from what my grandparents would see as appropriate gifts. So, I would receive a purse or a scarf or mittens and I was always happy because it was the one time of year when my cousins and I were alike because we would all receive the exact same gift. It was at those times when it felt as though perhaps it was grandma’s way of saying that we were all the same in her eyes. The year that I turned 10, the gifts yielded an unexpected surprise. We came into the room and as I walked around the large wood stove that covered a substantial part of the floor, I saw three large boxes. I knew immediately they were for my cousins and me and unless there was a pair of mittens for every day of the year, there was something unusual inside. Not knowing what my grandma would select that was so big, it seemed as if I were going to explode as we finished dinner and took turns opening packages. When it came our turn – my cousins and I, with no regard to waste of beautiful bows or paper, ripped into the packages. The room was quiet as I studied the pink on the package and examined the pictures on the outside. I remember feeling across the top of the package for sealing tape because for a split second, a thought crossed my mind that the box may have been one found by my grandpa and put to use by my grandma for the present. However, the box was sealed and as I looked at my cousins, I was pleased at their smiling faces as we realized that we had all received Barbie Dream Campers. Well, even if no one else understood, I knew we had received a mighty gift. Barbie and her large residential road warrior were very much a part of my dream world. How did Grandma know? Did my parents say something? If so, why would she go along with it? I didn’t state the questions out loud. I just laughed and felt an immediate and lasting joy. Looking back, the message that I took from the gift was simple. I was o.k. Even if I knew about different things and had different hopes and dreams for my life, I was just as important in my grandma’s eyes as the other members of my family. What I wanted and hoped for and dreamed about was just as acceptable as what they longed for in their lives. Years later, my grandmother shared with me that she had gotten the gifts because she had been in a store and had heard a woman talking about how the camper would allow little girls to make believe and imagine traveling and seeing what was beyond their own door. As we celebrate a season that is filled with different beliefs, hopes and expectations for the world, I am reminded it is these differences in points of view and experience that make our world brighter. My life is fulfilling not because I am the same as everyone else but because I am different and because I embrace the differences in others. The truth in giving lies with the acceptance and love that is shared with a greeting or a kind gesture that says my world is better because you are part of it. My grandma passed away in 1997 and a few weeks later, her husband of more than 60 years followed. I still return to that place and travel through that field, toward her home place and imagine her rocking in her chair, looking out the window and waiting for us to return. Now, I know she was not only waiting for us but she was also imaging those places that existed outside her door, over the hill and just beyond her reach. Tis the season for giving . . . and receiving. Have you ever thought about why it’s sometimes hard to receive gifts? Most people like to give gifts instead of receive them. There’s something to say about having a giving heart—to be responsible for invoking happiness in another. Happiness is contagious. It feels good to know you helped make someone smile. You experience excitement and glee as you wait for the person to find out what you’ve gotten them. You don’t do it for the “thank you,” you give because you know you’re sharing a positive, uplifting emotion with someone you’re connected to. What a great feeling, right? Giving gifts feels good, but if you think about it, receiving gifts offers an opportunity to experience an entirely different emotion. It also “feels good,” but there’s something “deep” that tends to happen. Sometimes the sense of gratitude can be overwhelming (in a good way). When you receive a gift, you feel warm, peaceful, and sometimes tearful. You don’t become thankful because the gift is useful or fun (although sometimes gifts are AMAZING); you’re thankful because the person who gave you the gift cared about you. They dedicated a moment of their life—just to you. That’s pretty amazing too, right? Since it’s the season of giving and receiving, take your time during each exchange and focus on the emotions you experience. Feel the sense of bright, joyful glee—and appreciate the warm feeling of gratitude. What’s the best gift you ever gave—or received? Feel free to comment below. The answers are below—but before you take a look, we want to say on behalf of the entire team of National Safe Place Network, we are thankful for you. We are thankful for each and every person who believes in our vision of creating a world where all youth are safe—and supports our mission to ensure an effective system of response for youth in crisis through public and private partnerships at a local, state, and national level. We’re thankful for the time you spend with us, the time you dedicate to teach and learn from us, and all of the times you share us with people you know. Thank you for allowing us to meet your needs and be your network and for working with us—because, together we can. If your application was not approved, it’s important to note that applications are often very well written and still may not be funded. NSPN members with the Organizational Development package are encouraged to connect with April Carthorn (acarthorn@nspnetwork.org) to share your reviewer comments. The NSPN team will work to help you understand what may be improved in your response to future funding opportunity announcements. Although you should have well established city, county, and state congressional relationships before you get the notice of the status of your application, it is never too late to reach out to community leaders. Visit your local representatives and share a packet of information to include statistics of service, outcomes of services, and projections of impact on the community if services are discontinued. Gap funding from city and county governments is not unheard of – especially for programs deeply grounded in the community landscape. Reach out to all referral sources to explain what services will or won’t be continuing and ask for assistance from trusted partners in creating responses for youth to meet basic needs. Craft a media release focusing on the impact of the loss of funding and the importance of additional resources for all RHY youth. Create a social media support campaign (consider Go Fund Me) if the loss of funding will mean the discontinuation of all services. Some of you have built sustainable programs capable of withstanding a loss, especially in the cases where reapplication is possible the next year. Others of you may be faced with closing facilities and laying off staff. There are no words of comfort or encouragement during these times that do not sound trite. All social service organizations face this loss at one time or another. Our best wishes are with you and your team as you make your decisions for what is next for your organization. It’s October and with the season comes such traditions as pumpkins, fall leaves, trick or treat, and brisk mornings. One only needs to look at theater listings or the aisles of your local department store to see signs of Halloween. Who remembers the first time you saw the movie Halloween and heard Jamie Lee Curtis scream? Have you seen any cars named Christine lately? How many hockey masks do you have? Do crows make you shiver? Why is that balloon tied to the storm drain? Invite youth to create a collage (on paper or digitally) of the images that remind them of feeling safe. Make sure there are sufficient options to address differences across culture, age, and experience. Have discussions with youth new to your program about any aspect of your organization’s physical layout that is frightening or uncomfortable for them. Host a group discussion of things youth rely on when they’re scared. Be prepared to respond when youth say they are never scared or when they say they have nothing or no one to rely on in those moments. Ensure you are not selecting movies for group viewing or seasonal activities without considering the needs of each youth. Allow for alternative activities without disparagement. Adults working with youth may not recognize specific triggers. Corn mazes may evoke feelings of being lost. Haunted houses may trigger unsuspected reactions. Pumpkins that smile are just wrong. If the sound of chain saws make you cringe and the idea of summer camp makes you nauseous, you understand the power of images, sounds, and, memories. Work with your staff to create safe memories for the youth you serve. It will be the treat they never forget. Coffee is the most coveted morning beverage of humanity. Coffee is so popular, people write about how great it is—a lot. The Huffington Post alone has a full web page dedicated to numerous blog posts about coffee, one of which is titled “19 Things You Didn’t Know About Coffee.” The article shares some interesting information. For example, legend says “coffee was discovered by a goat herder,” “a coffee plant can live up to 200 years,” and “coffee beans can vary in color”—not for the strange “cat” reason shared that no one would spend money on. Anyhow, who knew? Someone must really love coffee to dedicate precious time just to write about the goodness these little beans bring to the world. These flavors are actually easy to make! You can get the recipes here. 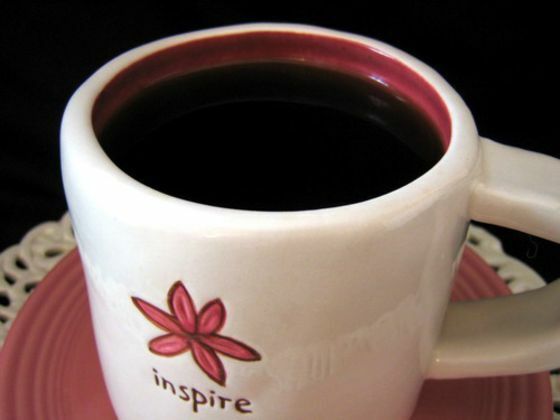 · Tammy Hopper, Chief Strategic Initiatives Officer: In someone else’s cup. I am so not a coffee drinker. · Shauna Brooks, Principal Investigator: Medium Roast in a large mug with two packs of Splenda and a 4-count pour of real heavy cream. · April Carthorn, General Specialist: Not at all. · Zach Elmore, Operations Specialist: Black. Regular in the morning, decaf after noon. · Kim Frierson, Training Specialist: Don’t drink coffee anymore. Made me sick while I was pregnant and I never picked it back up. I do enjoy a good cider or lemonade, depending on the season. 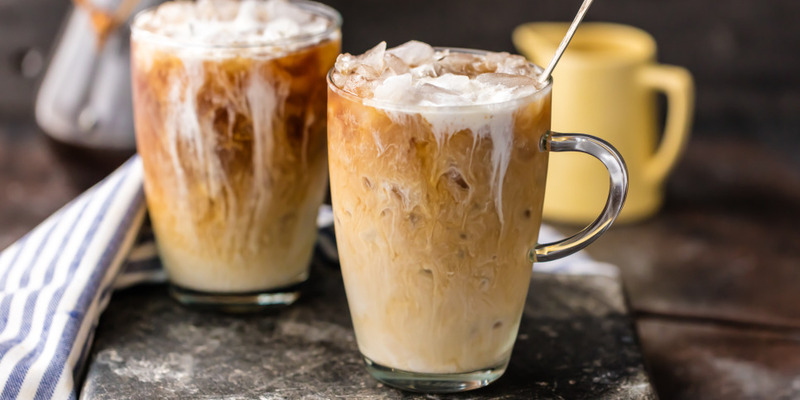 · Susan Harmon, Director of Safe Place National Operations: I love strong coffee – but not Starbucks strong – with nothing in it. · Rachel Hurst, Development Associate: I only like the smell of coffee. Coffee is a lie because it smells amazing but tastes horrible. I don’t even like coffee ice cream. · Hillary Ladig, Communications Coordinator: It depends on my mood. Somedays, I like it black and other days, I like it with a generous portion of milk. I also enjoy a good cappuccino – it’s great for the soul. ·Autumn Sandlin, Marketing & Communications Intern: ICED! If I drink it hot, I have to have lots and lots of sugar and milk or creamer. I want it as far from black as possible. · Eric Tadatada, Technical Assistance Specialist: I like my coffee with two creams and three sugars. How do you like your coffee? Feel free to let us know by commenting below.